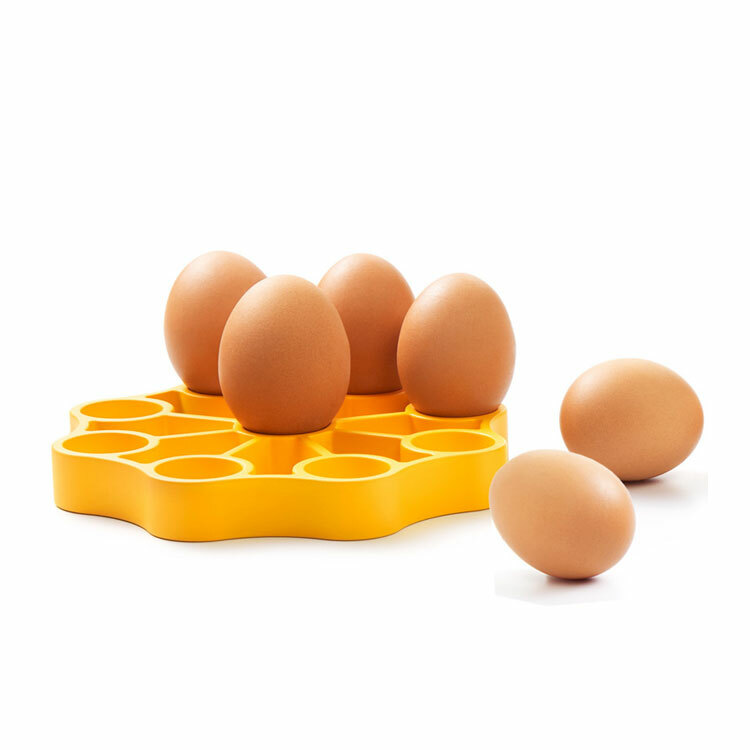 Pressure Cooker Egg Rack, 6.5" / 16cm dia, silicone. Keeps eggs steady when boiling. 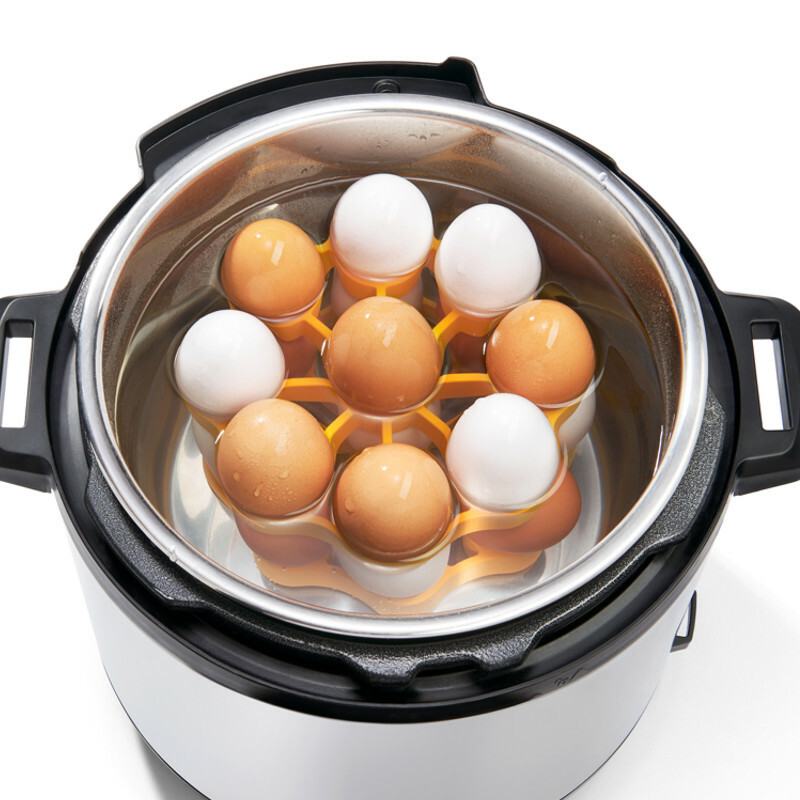 Holds up to 9 eggs in an upright position for consistent cooking throughout. Designed to fit into pressure cookers and saucepans. Can also be used as a trivet and for holding hard-boiled dyed eggs while they dry. Keeps eggs form knocking together while boiling. Can be used in saucepan, pressure cooker, or Instapot. Also works as a cooking/roasting rack. Great for drying dyed Easter eggs.